Ceramx Prep is an excellent cleaner for removing polish or old wax before applying any ceramic coating. A combination of mild solvents dissolves and removes all the contaminants and leaves the paint squeaky clean and ready for the final protection. 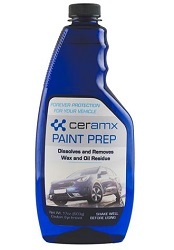 Ceramx Exterior is a hard wearing - ceramic clear coat for superior resistance to scratching (9H) and protection from chemical etching due to environmental impacts. 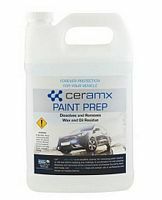 Ceramx Exterior has a better chemical resistance - scratch & mar resistance - and release properties than any automotive paint coating in use. 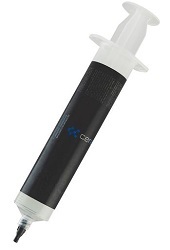 Itprovides permanent protection for all modern factory paints and can also be usedto protect rims - glass - and lights. Ceramx Interior creates a hydrophobic coating with concentrated UV absorbers to protection leather seats - dashboards and all fabric from premature aging - cracking - and other damage such as color transfer and staining. Ceramx Interioris an acrylic hybrid that creates a strong - yet flexible coating for these softer surfaces and high resistance to chemicals. 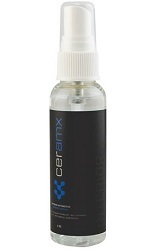 The coating contains special matting agents to maintain the original factory appearance of the surface it is applied to. 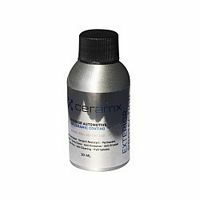 699.927 - Ceramx Prep 17oz.